Amazon has been having some excellent deals lately. I bought the Canon Rebel T1i from Amazon at an awesome price and loving every minute with it. I just came across another nice deal for Nintendo Wii. Although I am a PlayStation 3 fan and owner, Nintendo Wii stands its own ground when it comes to its unique game play. 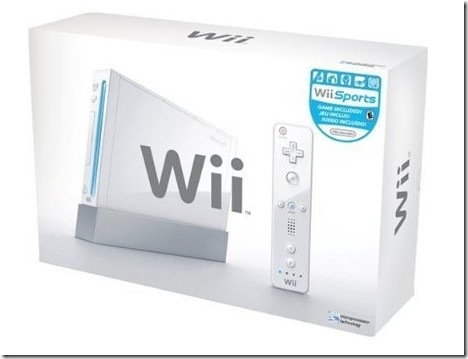 Amazon offers a Free $50 Amazon gift card with the purchase of Nintendo Wii Game console for $199.99 and Wii Fit Plus with Balance Board for $89.99! That makes it a sweet deal as you get back $50 in Amazon gift card. So you are basically paying $240 effectively for Nintendo Wii console + Wii Fit plus with balancing board package if you are an Amazon shopper as you get $50 in Amazon gift card back. You will see the final price as $290 for all 3 items. If you have been looking to purchase a Nintendo Wii, the timing couldn’t be right. I will be posting more tech deals from Amazon through out this week counting down to the Black Friday sale after Thanksgiving. Stay tuned.